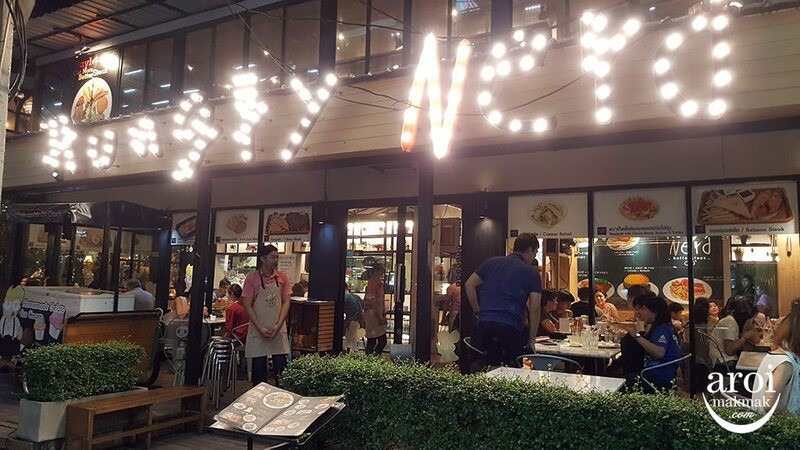 Home/Bangkok/Food/Suan Bua Restaurant – One of the best restaurant serving Royal Thai Cuisine in Bangkok! Suan Bua Thai Restaurant have been around for more than 30 years but having ran AroiMakMak.com for 4 years, I wonder why I only knew about this restaurant so late. 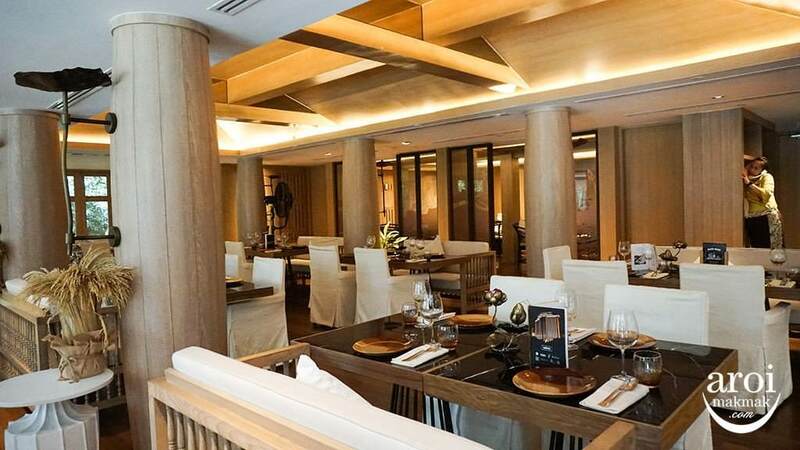 This underrated restaurant at Centara Grand Central Plaza Ladprao churns out delicious fine Thai cuisine and it’s definitely one of the few places where I had the best Thai food in Bangkok. 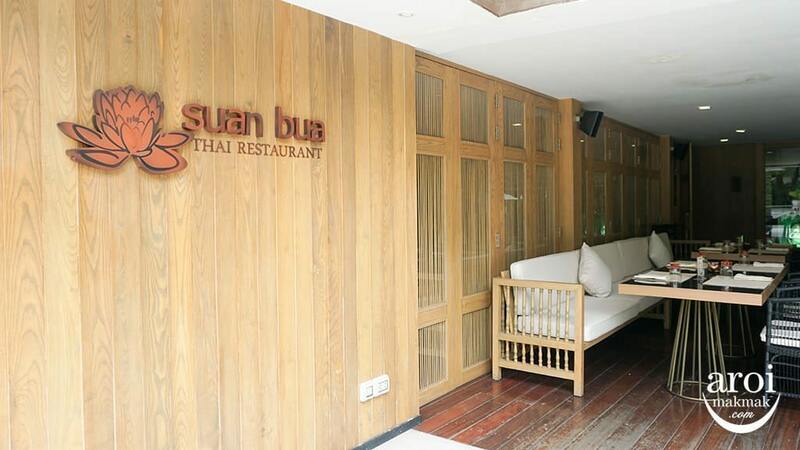 Suan Bua recently underwent a major renovation and the new look is refreshing with the use of glass walls to allow natural light in making the restaurant feel bright and connected with the nature of the lush greeneries outside. 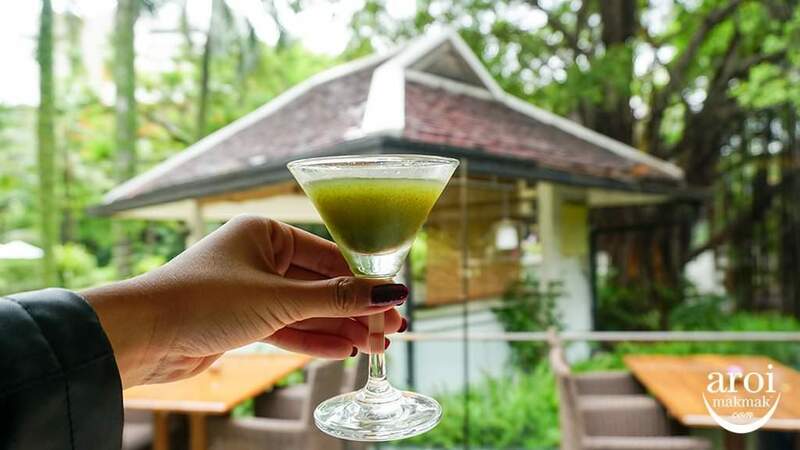 The welcome drink is refreshing and tangy, it matches the outdoor view right? I was probably feeling cheeky that day and ordered something cheeky called “Cheeky Monkey”! 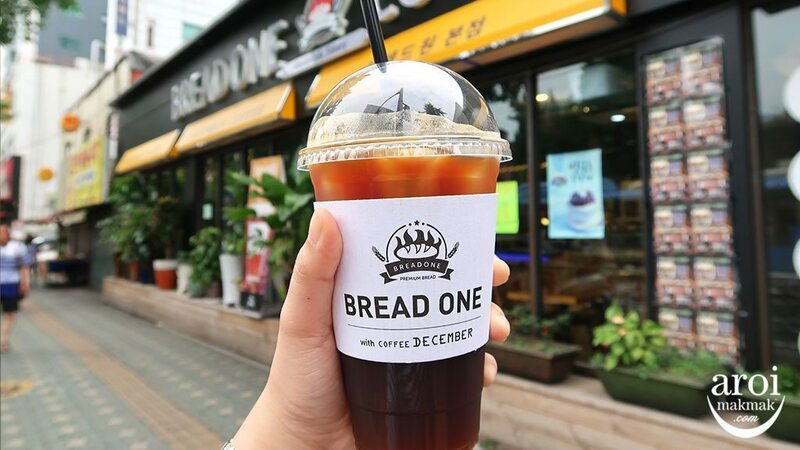 It was actually just a simple ice coffee served in a different style, accompanied by some Thai peanut candies. 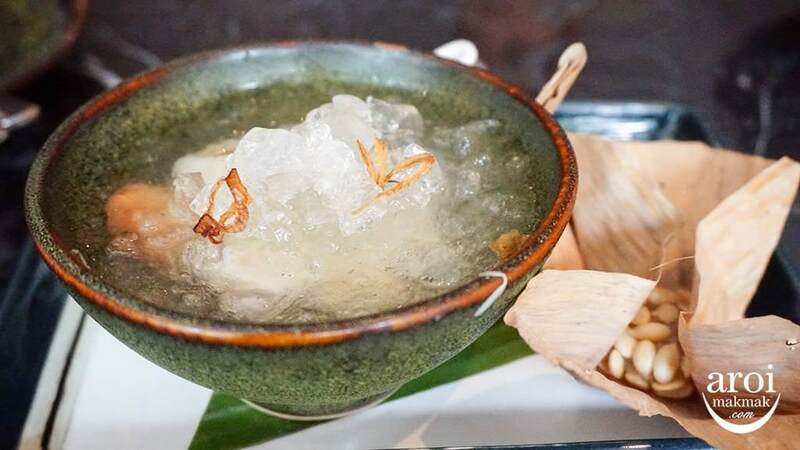 Our complimentary thai style Amuse Bouche, created by Chef Santiphap Petchwao (Por). 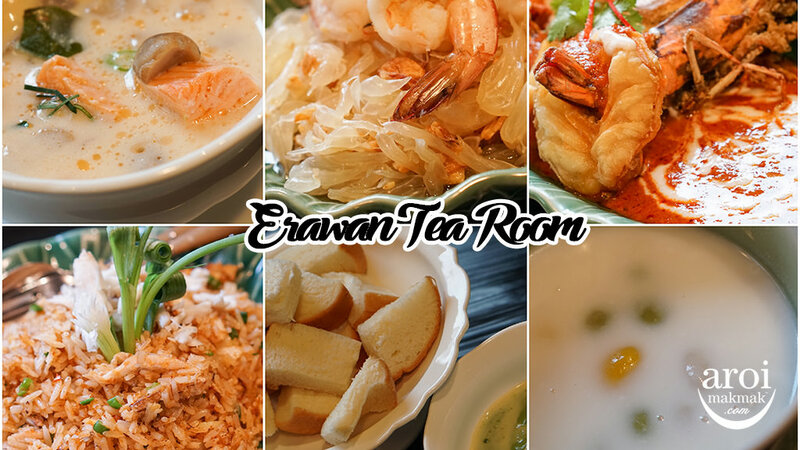 They serve 2 kinds of rice here and they are not just ordinary Thai rice! 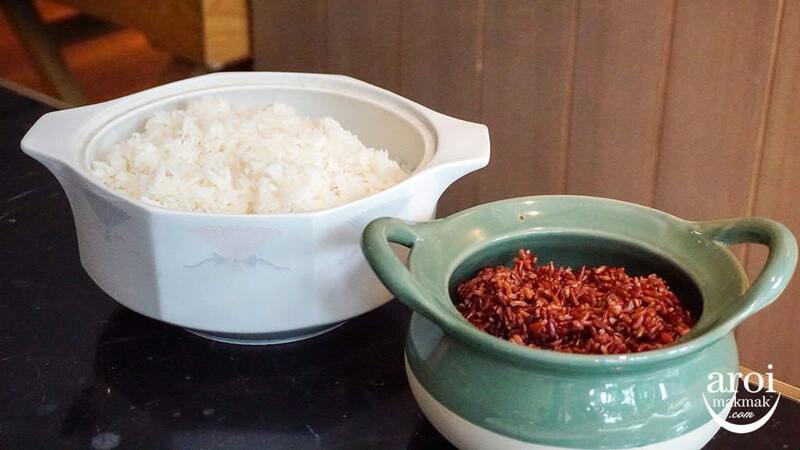 These steamed organic Hom Mali rice is grown in Buriram province’s volcanic soil. 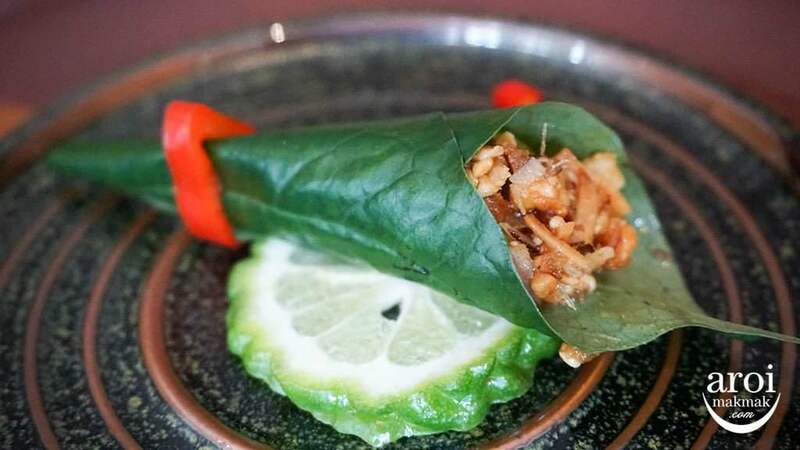 Mieng Goong Kleab Bua (Fluffy River Prawn in Lotus Leave with Sweet Sauce) [350฿] – This is a different take from the popular dish “Miang Kham” which translates to “one bite wrap”. 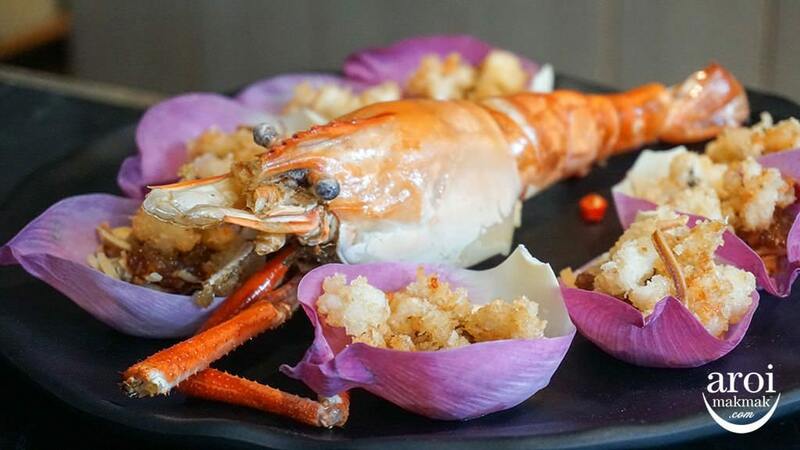 This version comes with river prawns and lotus leave, making it even more beautiful and appetising! 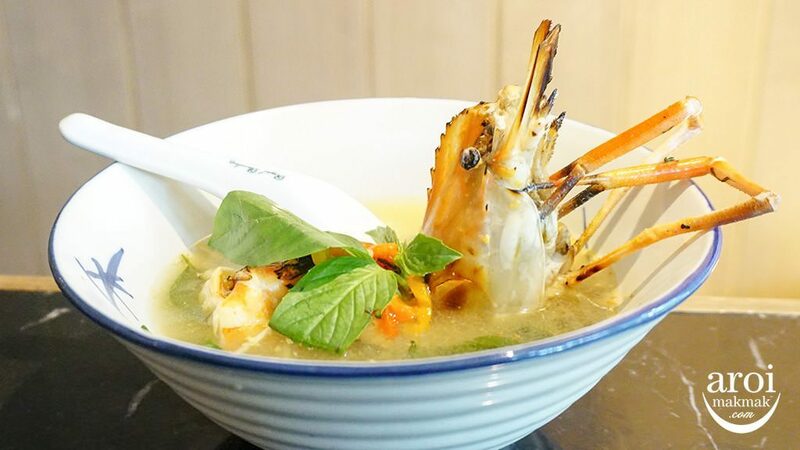 Tom Goong Yang Plung Sod Rama V (Hot and Sour Soup with Grilled Prawns and Green Mango [390฿] – The name of this soup doesn’t sound really appetising but it packs a punch of flavours in it! It is nothing like I ever drank before. 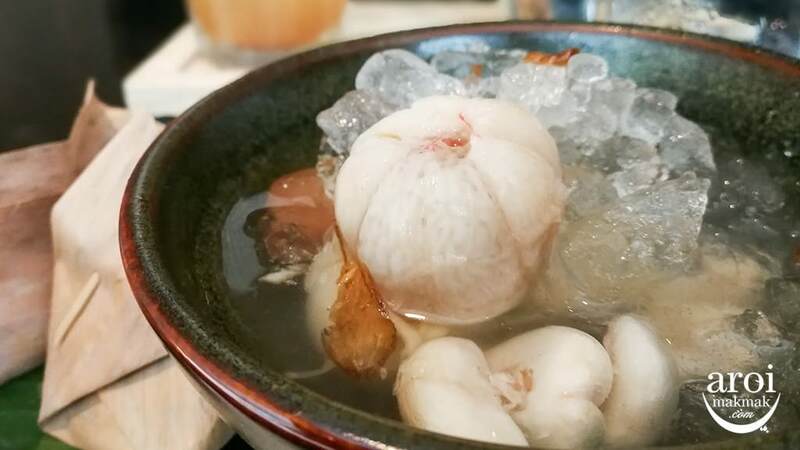 Apparently, this recipe is from the Rama V period and I am glad to be able to try it. 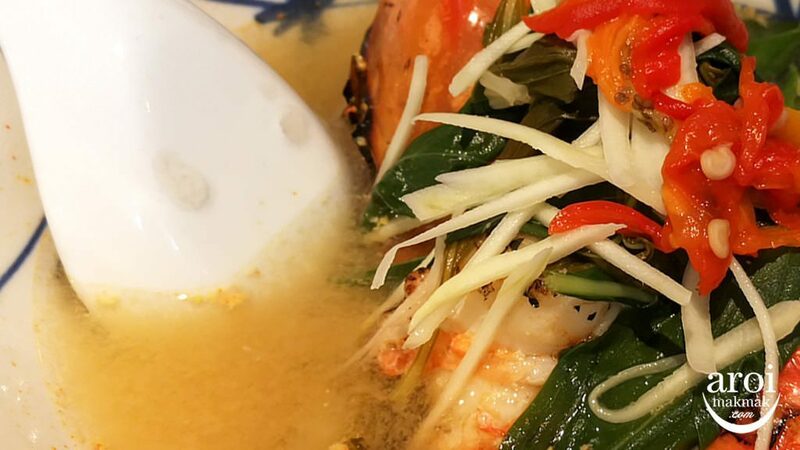 The grilled river prawn gives the soup an additional smoky taste, which in fact compliments well together. Prior to this meal, I had the best river prawn in Ayutthaya but river prawn here overtook it to become the best I had ever tried. It is juicer than the ones I had in Ayutthaya! This is another view of the soup. 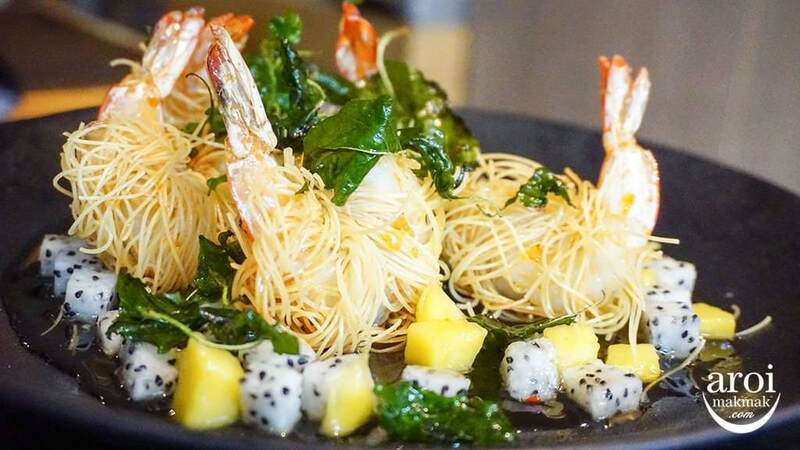 Goong Sarong (Fried Shrimps wrapped in fine Phuket Noodles with Mango Dipping Sauce [310฿] – Fresh prawns wrapped fine noodles and then deep fried to give you that crunch from the crust and the prawn. The fruity sauce gave this dish a tinge of sweetness from all that savories. 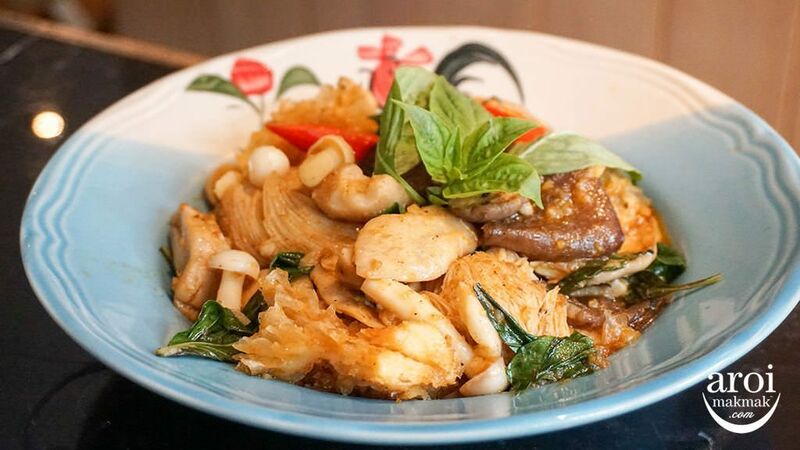 Pad Hed Ruam (Stir-fried assorted Royal Project Mushrooms with Crab Oil and Sweet Basil [350฿] – A simple yet homely and delicious dish using special mushrooms grown for the Royal Project. 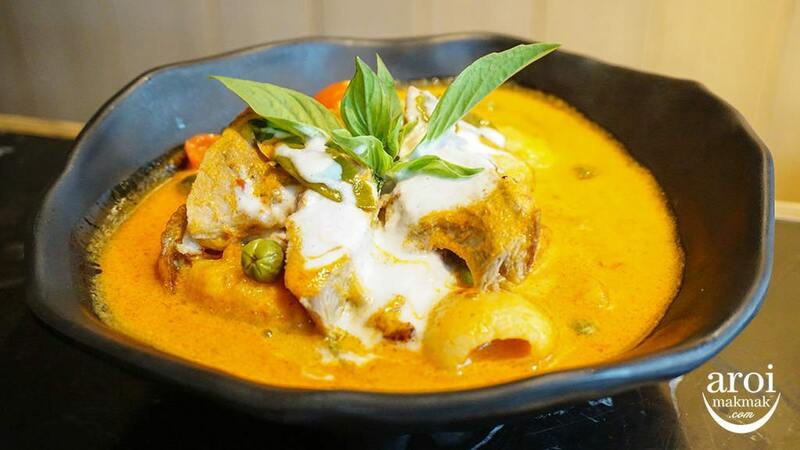 Gang Phed Ped Yang (Royal Project Duck Curry with Eggplant [450฿] – When there’s rice, it is always good to choose at least one curry dish as Thai curries always go well with rice. 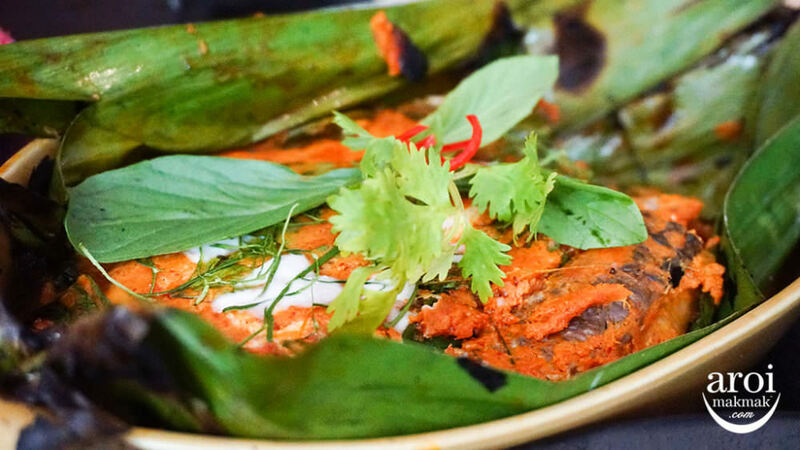 Ngob Pla Chon – Grilled Mea Lar Fish Curry wrapped in Banana Leaves [690฿] – I initially thought that this dish was otah but when I tasted it, it was a little different. It has the spice of otah but this version is really more of the fish in it and it was really delicious. 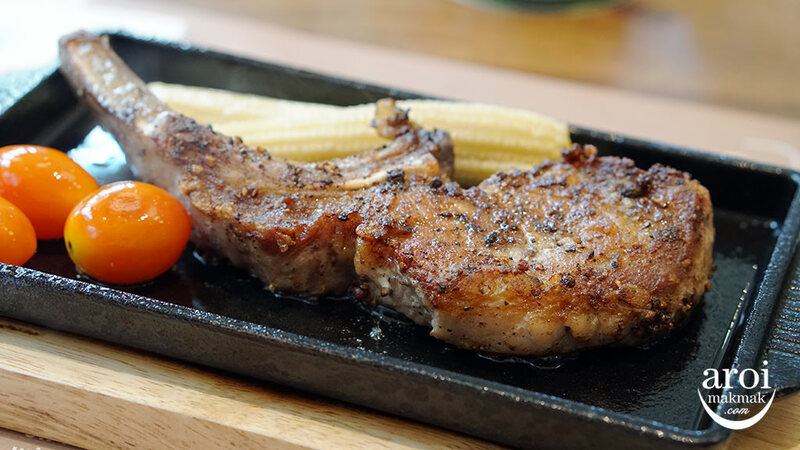 Another dish which goes well with rice. Som Chun Lare Ja Mongkut Borand Rama II (Tropical Fruits in Scented Syrup and Thai Candies with Watermelon Seeds [250฿] – This is a signature dessert at Suan Bua as well as my first time tasting something like this. The fruits used and the scented syrup is extremely unique to the taste buds. 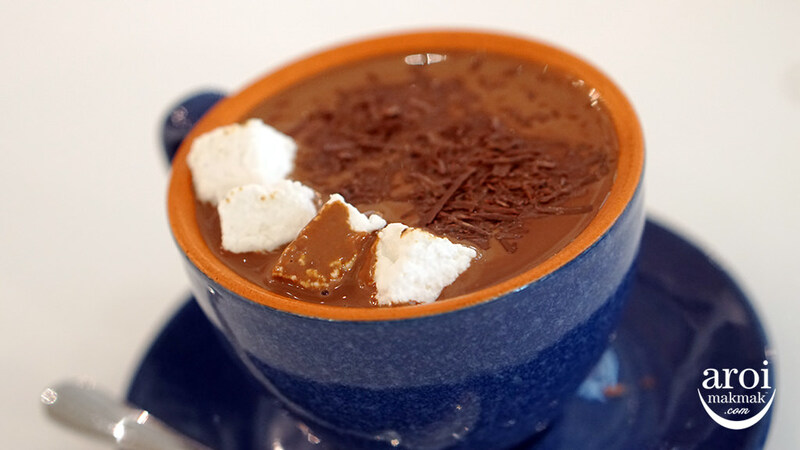 It makes a perfect dessert to refresh your taste palette. The only fruit I know was mangosteen. However, as the name suggest, it depends on the season for the types of fruits to appear in this dessert. Not to worry, Chef Por will make sure that the flavour matches. 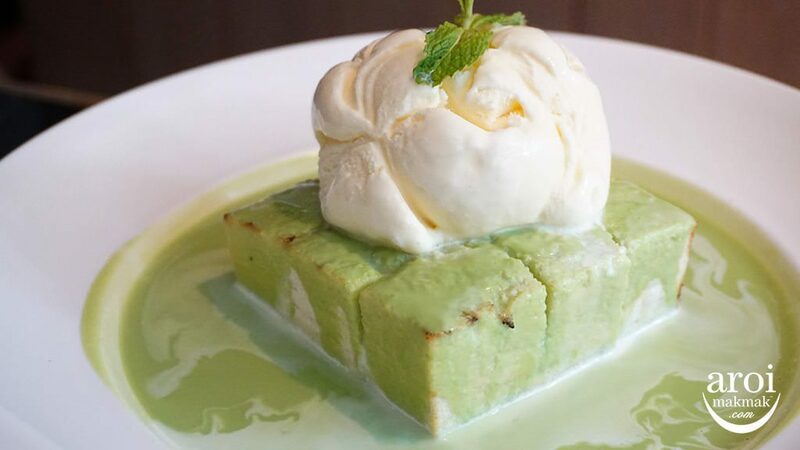 Kanom Pung Sang Kaya Baitoey Kub i-tim Vanilla (Thai Custard Bread and Vanilla Ice Cream [170฿] – Who doesn’t love thick toast and look at the amount of pandan kaya custard here! It’s flowing around in the plate! 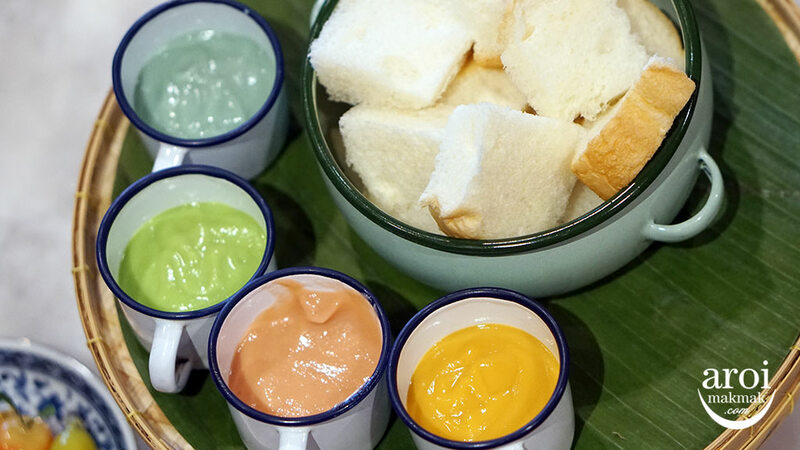 We were joking that it matches the season and this should be called Flooding Pandan Custard Toast because Bangkok had been flooding for days! I would just drop by for this dessert when I’m in the vicinity because it’s so good! The toast is literally swimming in a pool of sweet pandan custard, which is not too thick or watery. They are so generous with the pandan custard and the flavour is on point for the sweetness and consistency. I can have this all to myself. 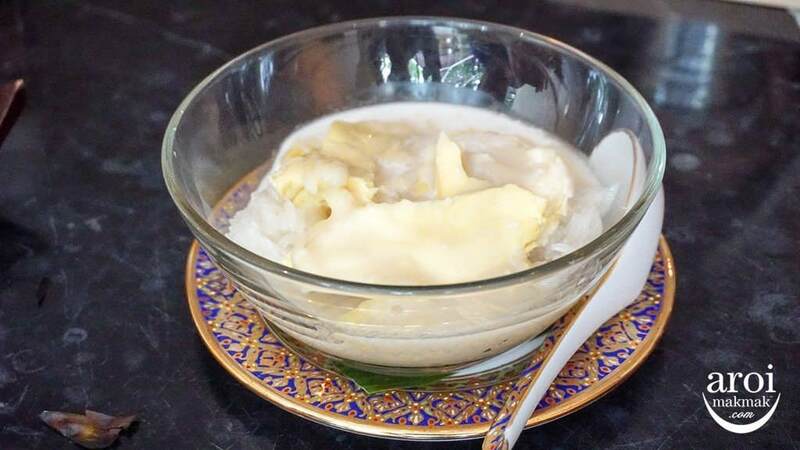 Kao Niew Durian (Durian with Sticky Rice) – This was part of the seasonal menu and I just had to try the version from one of the best restaurant in Bangkok, in my personal opinion. The durian was not too hard or mushy which works perfectly well for this sticky rice. 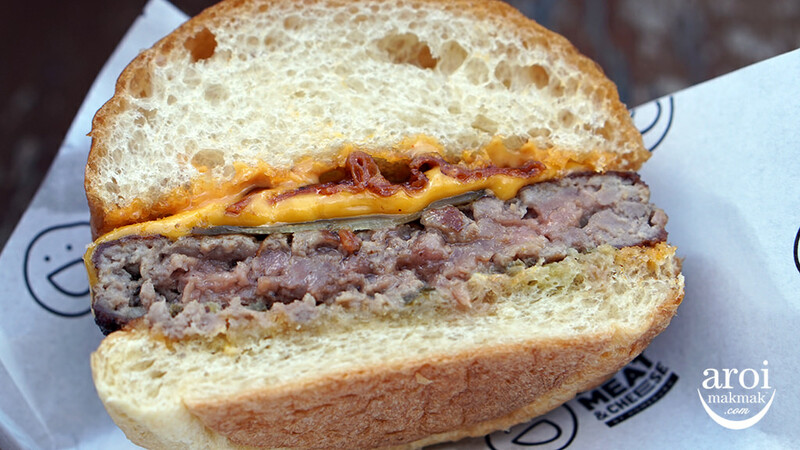 If I had the space in my stomach, I would definitely finish this, as it’s so good! The Mango with Sticky Rice is permanent on the menu though unless the mangos for the season are lousy. During the meal, Chef Por sat with us and introduces some of the dishes and I also had the opportunity to ask him some questions about his journey. After tasting all the delicious dishes, I just wanted to know more about him. I like how Chef Por is so dedicated to his creations and he ensures that every single ingredient used is from the best province and he really travels to get them! 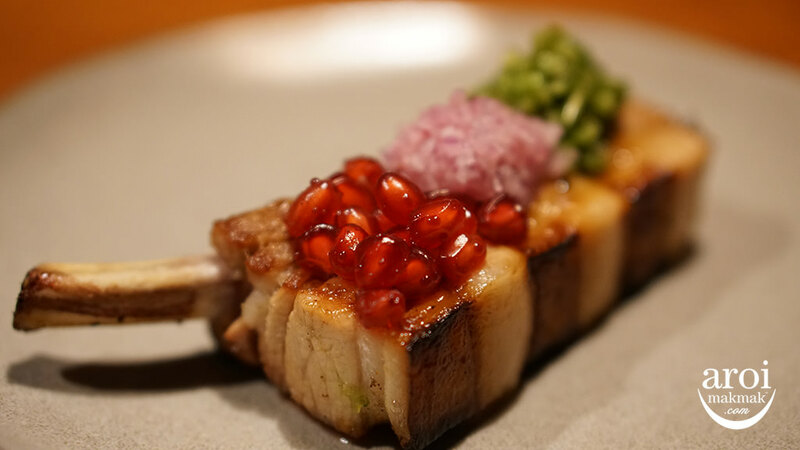 With the best ingredients, he is able to make the best dishes out. 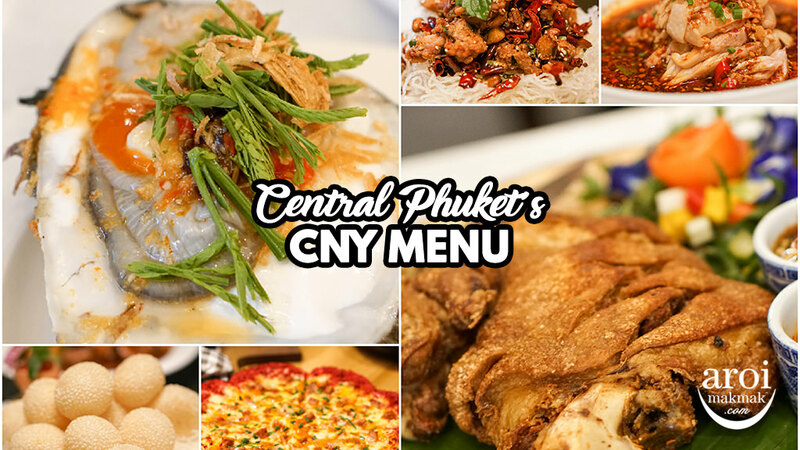 Chef Bor spend hours watching and helping his grandmother with Thai dishes when he was young and eventually learned the skill of balancing flavours. 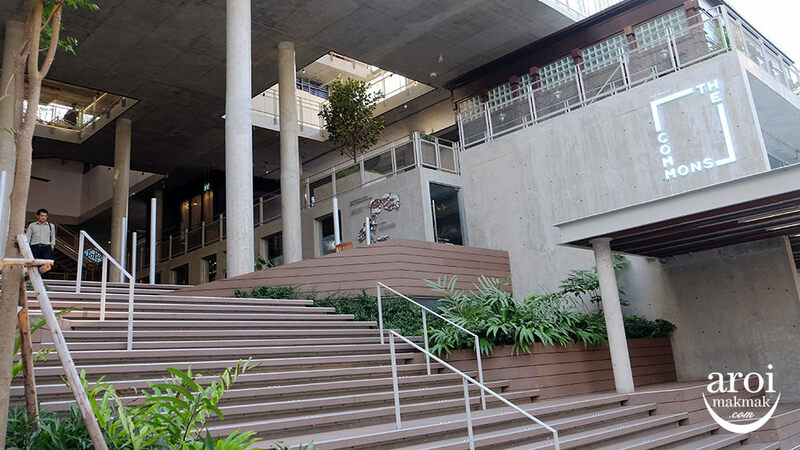 However, he didn’t pursue cooking and went to work in the financial sector. 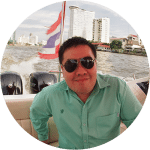 His ultimate passion was still cooking and he eventually quit the financial sector and went to further his culinary knowledge at the Dusit Thani College, followed by internships at some of Thailand’s leading Thai restaurants and absorbing as much as he could from the gurus of Royal Thai cuisine. 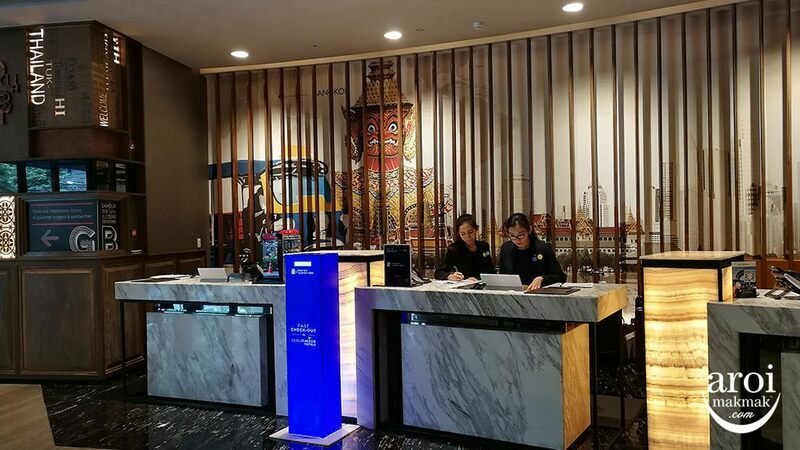 Chef Por gained in depth knowledge of Royal Thai cuisine while having the opportunity to work and learn from Chef Pimnipa Narongphan whose ancestor was a courtier in Dusit Palace approximately 100 years ago. 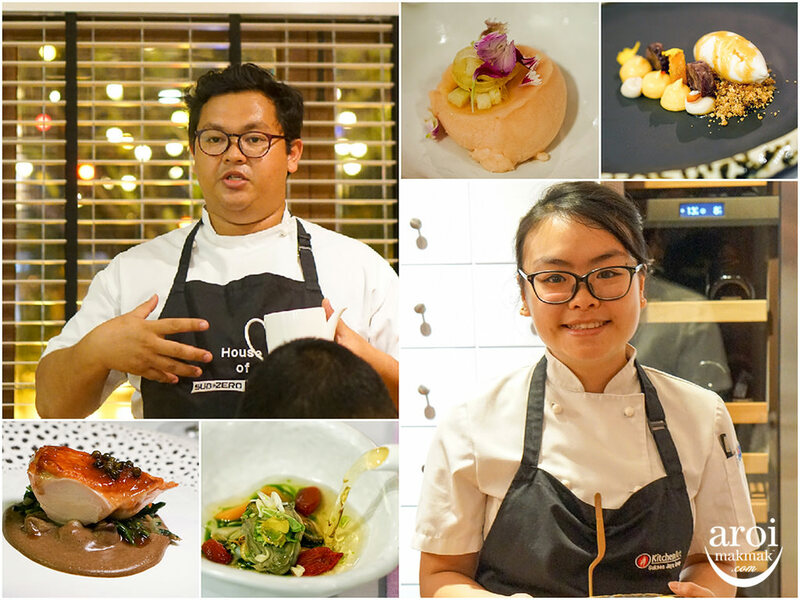 On the occasion of the 60th anniversary of His Majesty the King’s accession to the throne, Chef Por made a vow to be an advocate of authentic Thai cuisine, to teach future generations ensuring that genuine Thai recipes will be passed on. 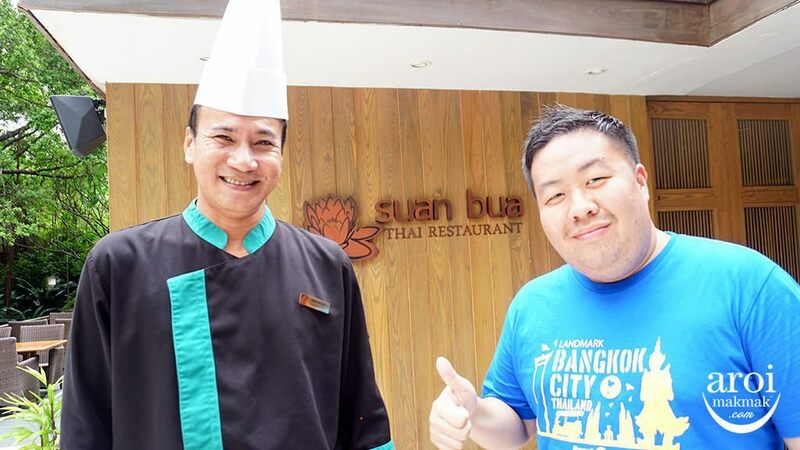 At Suan Bua, Chef Por will take you on a journey through the past with family style authentic set choice menus, each with a vast history, which he is happy to share. 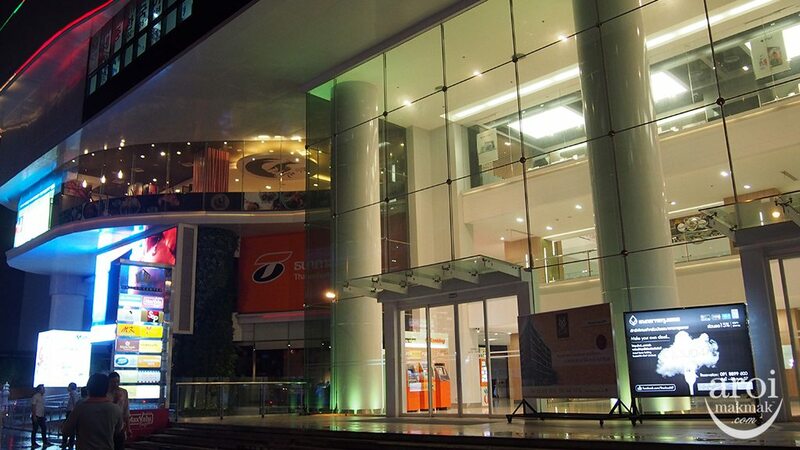 Come here and try for yourself! You won’t regret!